After attending the University of Missouri; serving in the United States Air Force; and spending four years with Sperry Rand Corporation; Jim entered the financial services field in 1971. In 1980 he was honored as one of The Outstanding Young Men of America. He currently serves on the boards of Christ First Counseling Center of Topeka and is a member of Kingdom Advisors, Inc.
Jim and his wife Debbie have one daughter living at home, plus five adult children, and nine grandchildren. They make their home in Ozawki, Kansas. 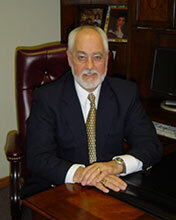 Jim is a Chartered Life Underwriter (CLU); Licensed Insurance Agent and Investment Adviser Representative. He holds a Series 6, 63, and 65 security licenses. As a Financial Planner, Jim understands the need for a unified approach to planning. Carrie Jennings began working at Lord’s in May 2017 as the office manager. She is a Topeka native, and graduated from Seaman High School. 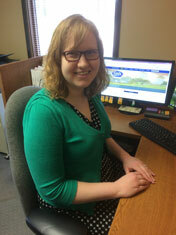 Carrie has an Associate of Arts degree from Allen Community College, and is a certified budget counselor. She lives in Topeka with her husband, Dustin, and her Cairn Terrier, Pippin. Carrie and Dustin are active in their church, serving on the technical team and leading a small group of young married couples. 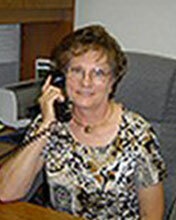 Karen Pauli began working with LORD’S Financial Planning in 1992. Karen is the Appointment Coordinator. She is responsible for all scheduling and assist with organizing seminars. Karen and her husband, Jim, live in Stull, Kansas. They have three children, 10 grandchildren and eight great-grandchildren.